Public procurement is particularly vulnerable to corruption. $9.5 trillion a year is spent on public contracts and the Omidyar Network estimates that around 60% of the world’s bribes centre around public contracts. 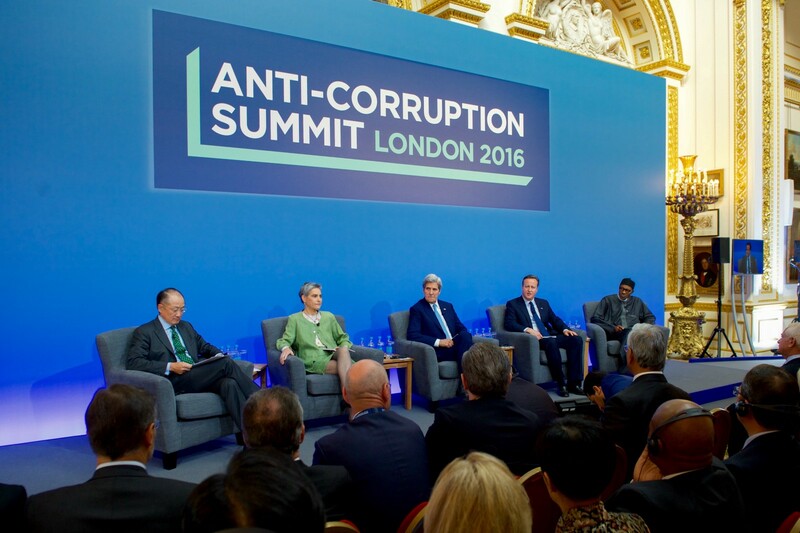 Open Contracting advocates were celebrating success at the close of the Global Anti-Corruption Summit held in London last week. 14 countries, Afghanistan, Argentina, Bulgaria, Colombia, France, Georgia, Ghana, Italy, Malta, Mexico, Nigeria, Romania, the UK and the USA, will adopt the Open Contracting Data Standard, making data open throughout the contracting process. It provides a standard format and set of practical support to enable governments to publish open, consistent contracting data. High profile projects will be prioritised, with Mexico’s new airport, Nigeria’s oil refinery investments and the UK high speed rail infrastructure project scheduled to be among the first public contracts to be made open. By endorsing the OCDS, the attendees recognised that secrecy in public procurement makes it vulnerable to fraud and that openness is the best remedy. Open contracting will reduce corruption, improve public services and enable more businesses to trade with government by allowing everyone access to the full public procurement process. Moreover, the 42 participants signed up to making public contracts open by default, ‘so that citizens and businesses can have a clear public record of how public money is spent’. From now on, if participating governments keep contract details secret, they will have to provide justification for doing so. The Summit paves the way to a less corrupt and more open future for public procurement. The widespread adoption of the OCDS among the Summit’s attendees endorses it worldwide as a vital means of securing 15% of the world’s annual GDP from corruption. We will continue to promote the OCDS as the best means of reducing corruption in public contracting and will work with the Open Government Partnership and others to assist the government in meeting their commitment to open contracting.